Arms Control Association | The authoritative source on arms control since 1971. The monthly journal on nonproliferation and global security. 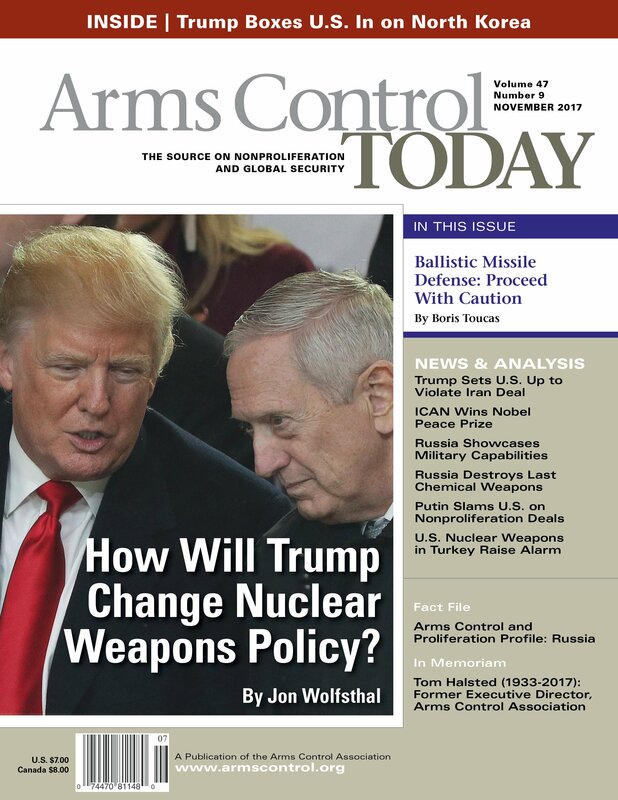 How Will Trump Change Nuclear Weapons Policy? Arms Control Today depends on the support of our readers. Subscribe today.